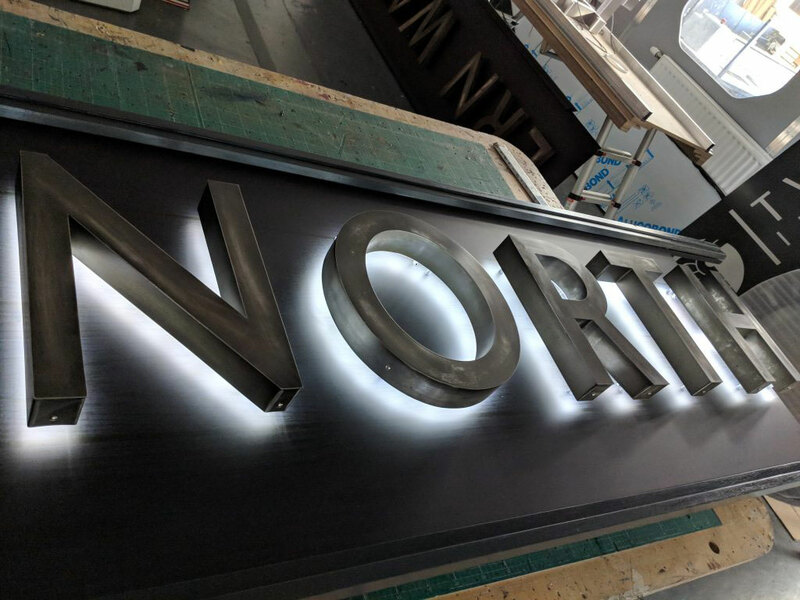 The project utilized three signs in total, one large size reaching over 40 feet in length and two smaller signs constructed in a circular orientation. 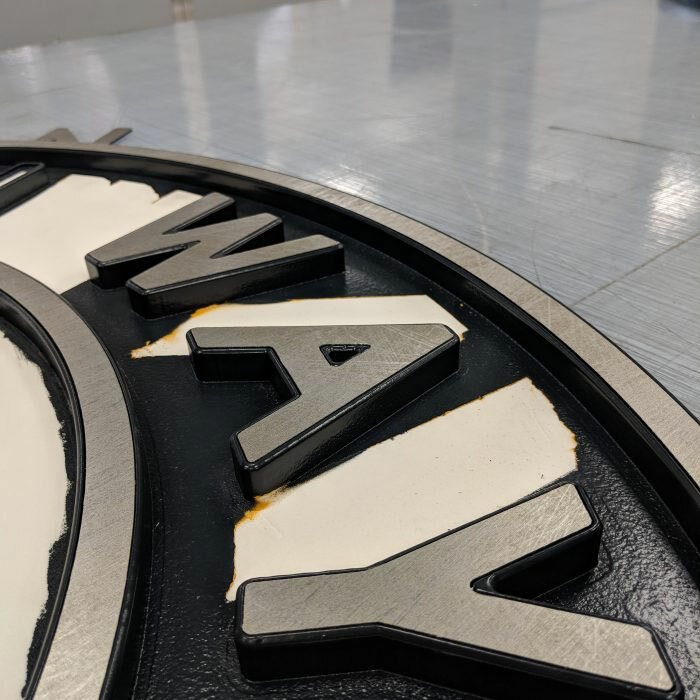 The circular signs are constructed in a similar fashion using a foam base, which was cut to house the circular elements of the sign and then painted black. 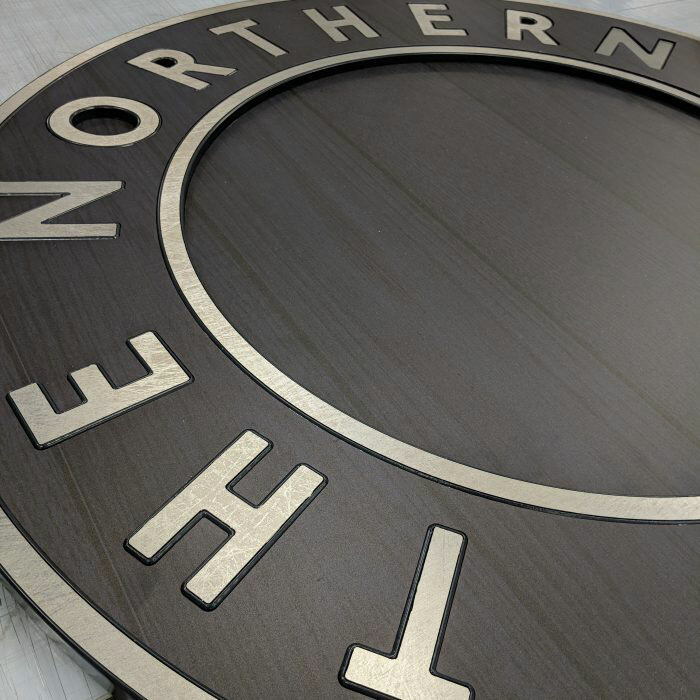 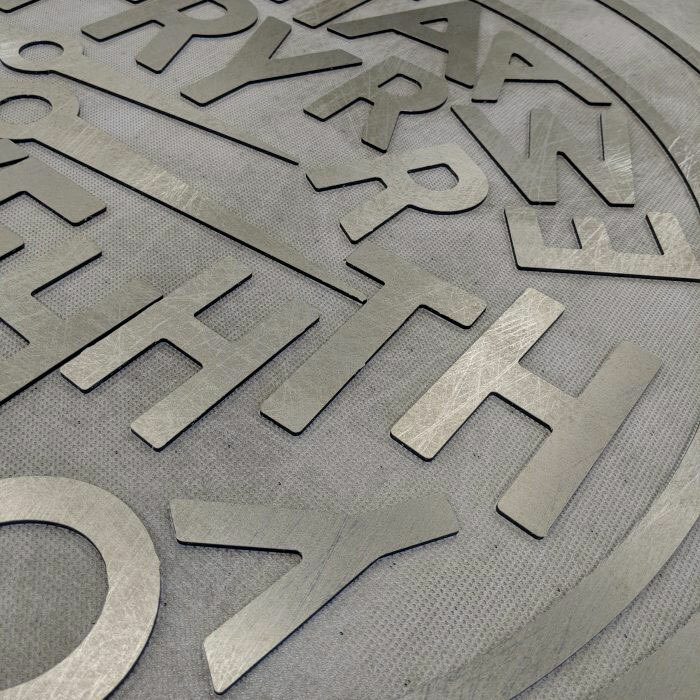 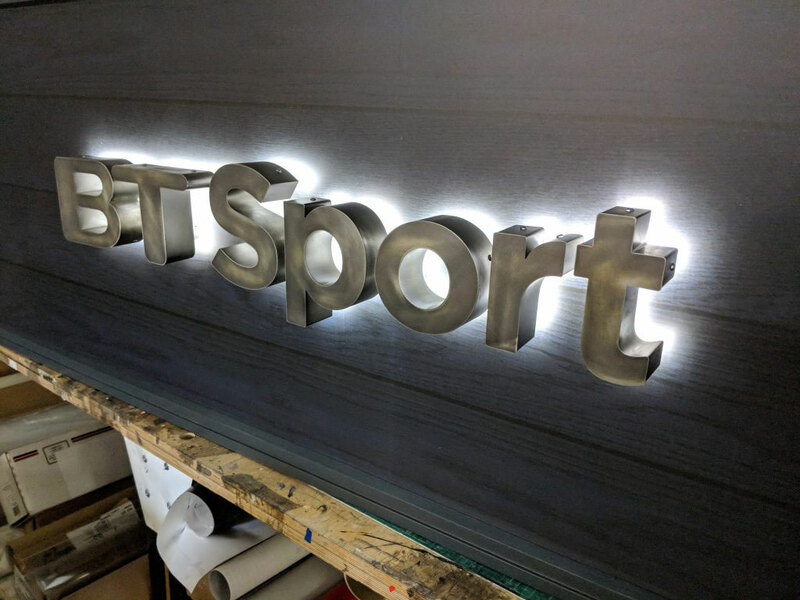 Additional Dibond was cut into the circles and lettering to sit over the cut-foam base prior to the UV wood effect being printed. 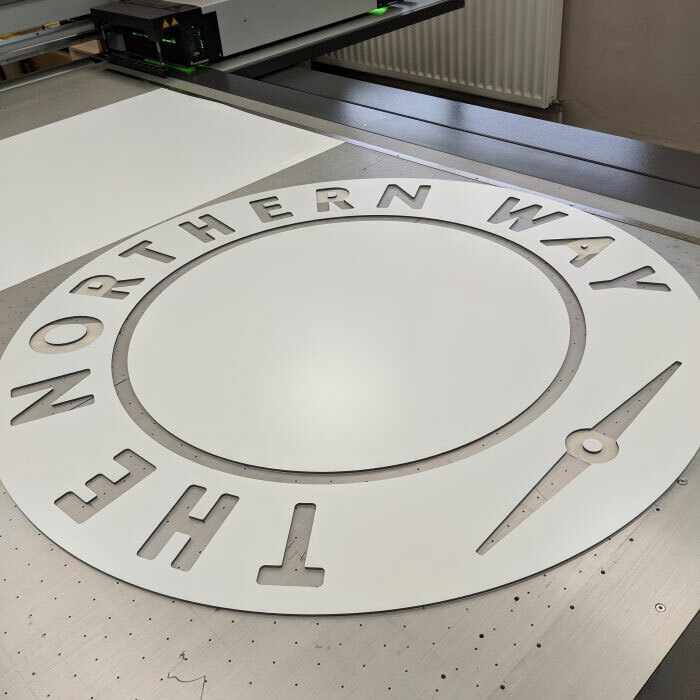 An additional disc of Dibond was cut and printed as well to fit the signs.